The stock market may take a dive but trees keep on growing! Forestry investment will give you tax free returns and all costs incurred will be covered by the grant scheme. 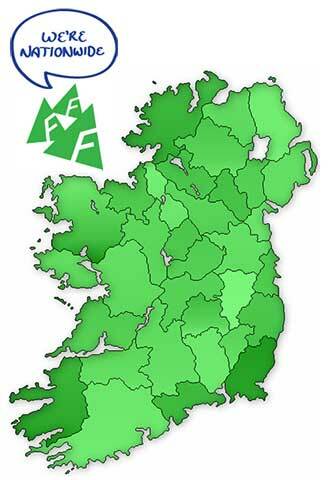 Due to Ireland’s mild climate and frequent rain fall, it is seen as one of the best environments in the world for forestry growth. Therefore investing in land for forestry purposes makes perfect sense in this country. At The Forestry Company we source suitable land for afforestation in line with your budget and needs to ensure you receive the optimum return. We will then plant and manage your forest to make sure that it reaches its full potential. 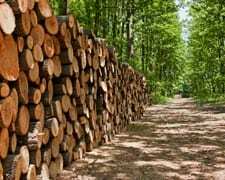 As one of the largest timberland management companies in Ireland, we can offer fantastic rates if you are looking to thin or clearfell your forest, due to our relationships with sawmills. There is a growing market in semi-mature plantations and we are happy to talk to you if you wish to discuss the purchase or sale of an existing plantation. As we are nationwide, we have local knowledge in all areas around the country and we are happy to meet you to discuss your needs. Call us today on 021 432 2870 to see what we can do for you! I planted my land in 2013 with The Forestry Company and I can honestly say I have never looked back. They took care of all of the paperwork for me and ensured that all works on my land were carried out in a professional and timely manner. I felt that The Forestry Company had my best interests in mind when advising me in relation to the species I should plant and he always kept me informed during every step of the process. 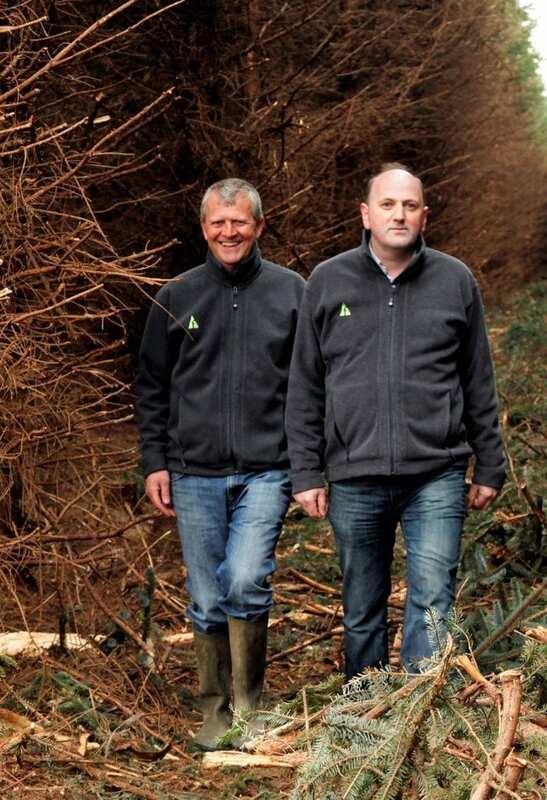 The crop is now thriving thanks to The Forestry Company and their crew of experienced contractors who have carried out all maintenance works at an early stage each growing season to ensure that the trees are free from competition. 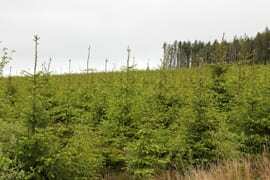 I look forward to dealing with The Forestry Company again in the future and would happily recommend them to anyone who is interested planting some land. TOM MAHER, THURLES, CO. TIPPERARY. After speaking to a number of forestry companies, in 2014 I decided to plant my land with The Forestry Company because I felt that they were the most informative and spent the time to ensure that I understood all the aspects of the afforestation scheme. Myles O’Malley carried out the work for me. I have never worried about the management of my crop as I know that the lads keep a close eye on it and ensure that all work is carried out when it is required or even before it is required! I can honestly say that the works were carried out using the best materials for both fencing and planting operations and no cost has been spared to ensure that the plantation is safe and in good health. WILLIAM MADDEN, DOON, CO. LIMERICK. I planted an outside farm in 1994 and The Forestry Company did the work for me then. They have been looking after it since then, and we built a forest road and thinned it in 2011. 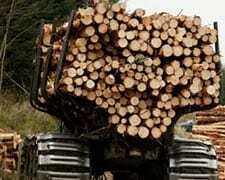 I would be delighted to recommend The Forestry Company as they have been always been great to deal with. BOB BENNETT, GLANMIRE, CO. CORK. When I first made the decision to plant some land in about 1997, I contacted Conor Daly. He planted 45 acres of sitka spruce with some ash for me. I was amazed at how easy the process was. Conor completed all of the paperwork, dealt with the Forest Service and looked after the whole job. In a few years this plantation will be ready for thinning. 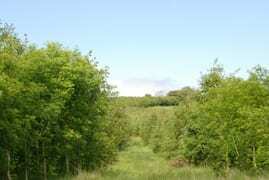 Conor has already started applying for a thinning grant for the ash, a Forest Road Grant and my Felling Licence. Conor also gave me advice in relation to my plantation and what should be thinned. I have been delighted with the excellent service provided by Conor and all of the team at The Forestry Company. When I am dealing with The Forestry Company, I know that my land is in good hands. JAMES O’ DONOGHUE, KILLARNEY, CO. KERRY. 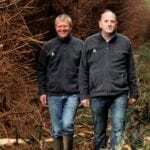 Éamonn Ó Curraoin has planted and maintained forestry for me on a number of different occasions since 1998. He has also applied for a Forest Road Grant on my behalf and thinned some forestry for me. I have always been delighted with the work that has been carried out by Éamonn. As a busy farmer it is great to know that I don’t have to worry about any aspect of the process; Éamonn will take care of everything for me. It is particularly good to know that you have someone you can rely on to complete all of the paperwork for you and carry out the work to the correct standard. It has been a pleasure to deal with Éamonn and everyone at The Forestry Company. ANDREW DAGG, NENAGH, CO. TIPPERARY.